Kamal Nursery is one stop destination of superior quality Dahlia Plant in the market. The Dahlia Flowers Plant we make available in the market is known for giving highly aromatic flowers of white, yellow, orange, red, blue and many more mixed colors. Dahlia Nursery Plants is a genus of bushy, tuberous, perennial plants said to be originated in Mexico, Central America, and Colombia. 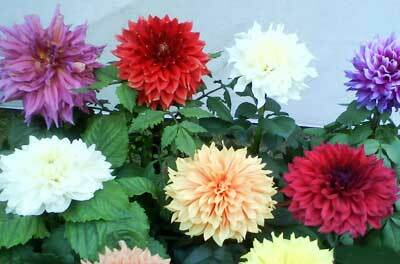 The flower of Dahlia Plants is extensively used for the purpose of decoration. Besides, we are one the most prominent Dahlia Plant Suppliers in the country. Other season flowers like chrysanthemum, marigold, stock, aster, petunia, tuberose, gladioli etc. also available.